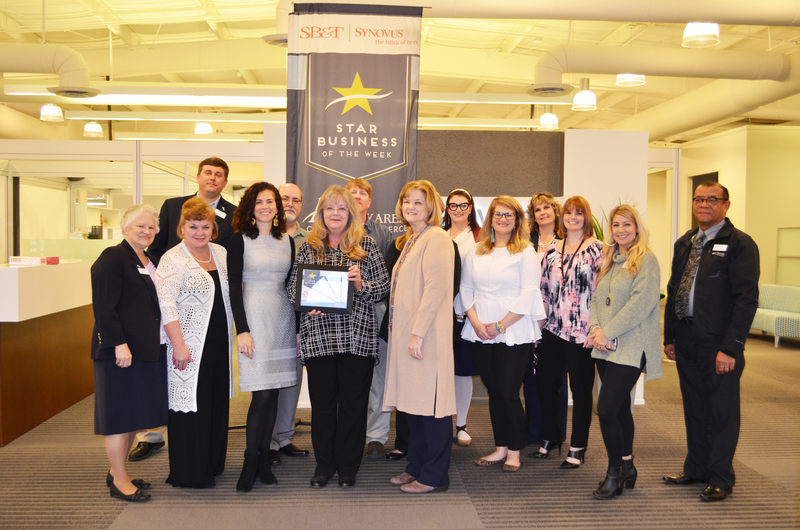 Congratulations, Advent Business Interiors on being this week’s Star Business! As you focus on your business, let Advent Business Interiors focus on you. Advent sees your workspace as a strategic tool for meeting your business’ current goals and objectives, and as your business evolves, your workspace must be adaptable. From start to finish, Advent Business Interiors provides you with more than just a buying experience. They are also committed to your ownership experience. A member of the Albany Area Chamber of Commerce since 2008, President Gaye Arthur says, “Because the Chamber advocates for the success of it’s members, we are informed about business issues that could affect our success, allowing us to make the best short and long-term business decisions. The direct links to other business owners have proven to be an invaluable benefit of our investment in Chamber membership.” Visit Advent Business Interiors at 1318 Highway 82 West, Leesburg. This entry was posted in Star Business of the Week on February 14, 2018 by Mandy Kavanaugh.